A virtual museum of antique and Byzantine spolia can be observed in the walls of this han, one of the few sponsored by a woman patron. Karpuz, Anadolu Selçuklu Eserleri, 2008, v. 2, p. 142. 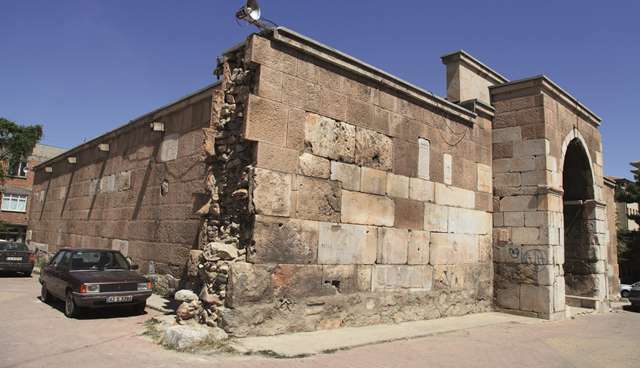 This han is located on the Akşehir-Konya Road; in the town of Kadinhan, 35 km from Konya. The former caravan route passed in front of this structure, but has been completely lost due to unstructured urban development. The Haji Hafiz Han is the preceding han before the Kadınhan for those traveling from Konya. 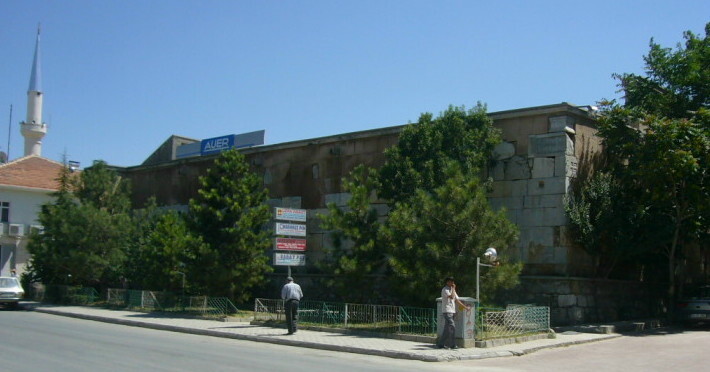 The next stop after it is the Argıt Han, of which there is no architectural information, as it is completely in ruins. 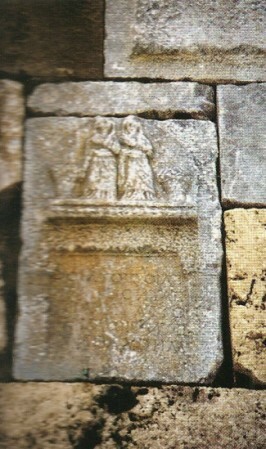 The han is called the Kadınhan (“Lady’s Han”) due to the fact that its founder, mentioned in the inscription, is a woman. 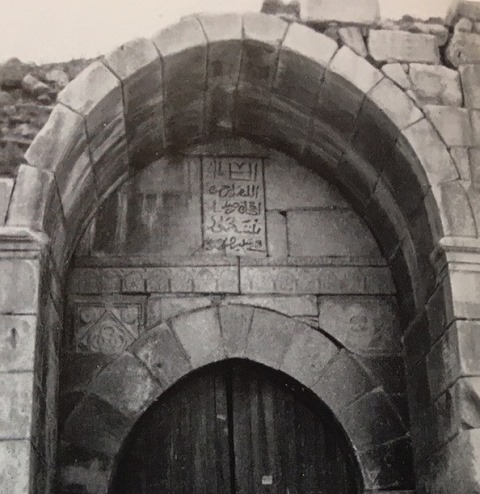 This han has been visited by many foreign travelers, including Olivier in 1808, who named the han as "Kadeun Khani" and reported that: "Here we discovered a partially destroyed Arab building containing Greek inscriptions, crosses and ancient reliefs in the construction." Kinneir also described the region and mentioned Kadınhan as a developing town. 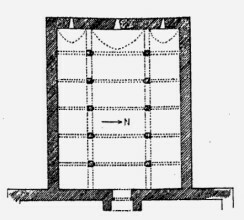 Hamilton and Tschihatscheff especially drew attention to the reuse spolia material used in construction of the han. Ordered by the Sultana, Radiya Khatun, may Allah have mercy on her soul, daughter of Mahmoud, in 620. The sultanic. Oh God, have mercy on what…by the lady [Ruqiya Khatun]…Three…in the year 620. The Kadin Han is one of the rare Seljuk hans with a foundation deed document. The original document, now lost, was recopied in the time of Mehmet II and Beyazid II, leaving two slightly different texts (Ankara Vakiflar Archival Documents 436 and 230). The vakif document states that the han was built by Devlet Hatun, the daughter of Ahmed El-Arusi of the Seljuk royal family, in the region of the farm lands of Seyrekviran. The mention of her father Mahmoud in the inscription may have been an erroneous reading. The patron of the han is Radiya Khatun. The inscription plaque provides the date of construction and states that the han is a gift to God from this woman, and implores Him to have pity on her. It can be discerned from the wording of the text that she was deceased at the time the inscription was written. Her identity has not been ascertained, but Konyali thinks that she may be Devlet Hatun, one of the wives of Giyaseddin Keyhüsrev I, and who was the epigraphically-attested founder of the Hatuniye Mosque in Konya. She is now buried in the garden of the Hatuniye Mosque. The han is oriented east to west, with the entrance faces east to Konya. It lies parallel to the road. The structure was originally built with the classic plan of a courtyard and covered section of approximately equal dimensions. The courtyard no longer exists. The original covered section of the han has been modified with different structures built by occupants in subsequent periods. The Kadin Han displays similar characteristics to other 13th century hans on the same caravan route, such as Dolay, Kuruçeşme, Kızılören, Altınapa and Dokuzun Hans. 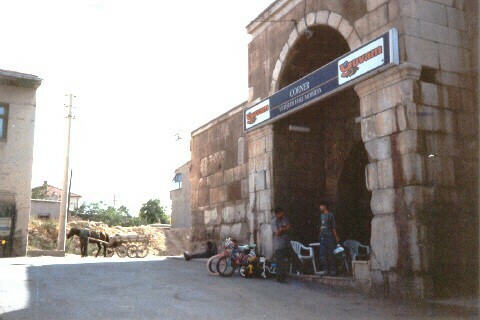 The original courtyard no longer exists. Some sections of the courtyard walls remain adjacent to the interior walls. The covered section, which was used for lodging, is divided into three naves by two support walls extending to the rear wall in the east-west direction, each composed of six, two-centered pointed arches set on five piers. 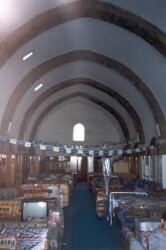 The section is covered with a pointed barrel vault extending in the east-west direction. The central nave is higher and wider than the lateral naves. 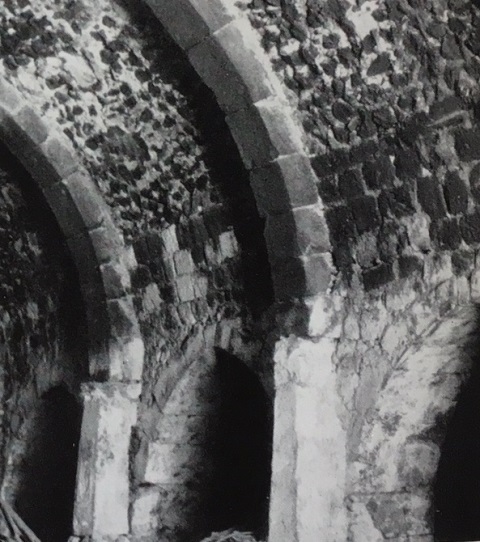 The piers bearing the arches of the vault in the central nave are supported by masonry buttresses. Several circular metal rings, used to tether animals, can be seen attached to holes pierced in the piers. The interior is lit by small windows in each nave of the western wall. The mosque was perhaps located in one of the rooms in the courtyard, but this courtyard area is now gone. 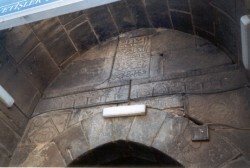 The portal is fairly elaborate, and includes a recessed arch with the inscription plaque. 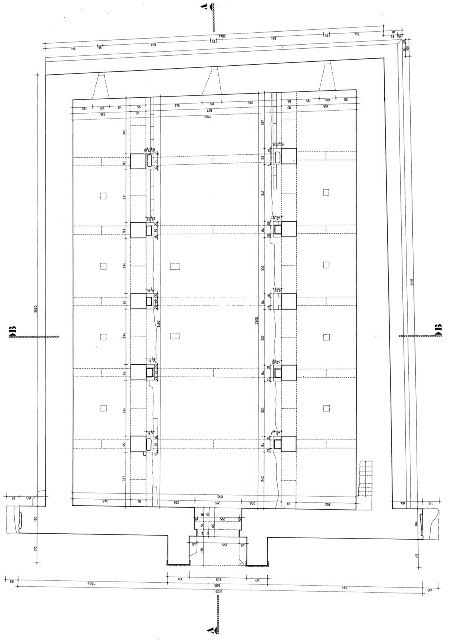 It is in the form of an entablature which protrudes from the main facade, and is located at the center axis of the structure. The door is placed inside a two-centered pointed arch. The lateral walls of the crown door extend up to the keystone of the interior arch and are made of plain masonry. 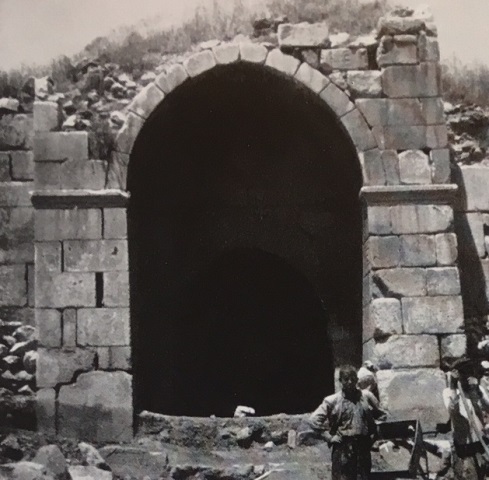 At this point, the imposts of the pointed arch of the doorway were placed on a slab which forms the entablature. 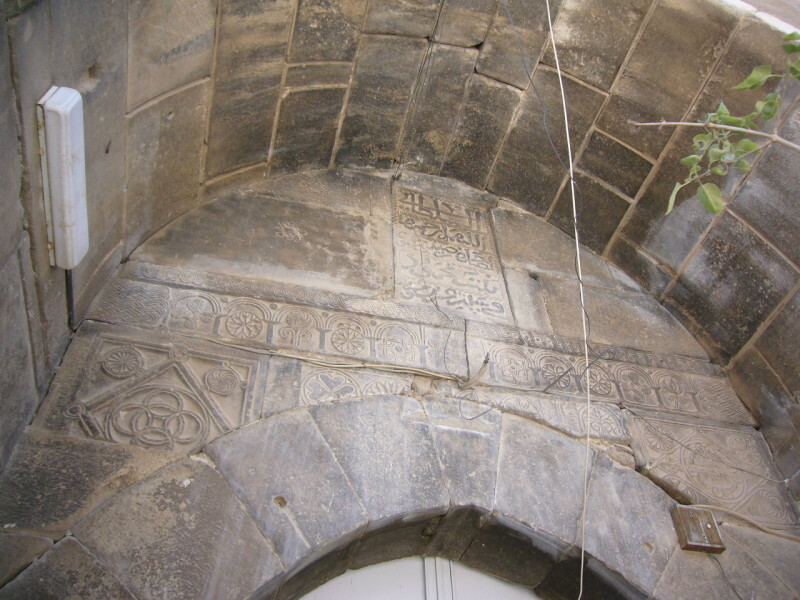 The stones of the arch are individual blocks, but the spandrels have been filled in with tufa stones. The door opening is also placed on two-centered arches. The spandrels, resting on straight lintels on both sides of the entrance vestibule, are filled with reuse elements from a Byzantine ambo on the left side and with flat materials on right side. Reuse architrave sections of a templon fill the arch in a straight line. 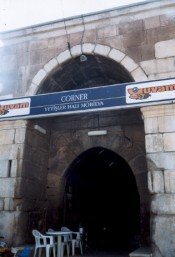 The tympanum is located above this part, with the inscription placed in the middle. The rest of the space inside the tympanum is blank. The templon architraves in the portal of the Kadin Han bring a sense of motion into the façade and the cross on the center of the architrave was kept as is. The smooth masonry of the northern and southern ends of the eastern facade of the covered section is remarkable. The walls were built with a filling of a mixture of rubble and rough stones between two smooth masonry exterior blocks. The construction of the walls is interesting as the interior blocks in the covered section are not set parallel to each other because the stones used are mainly of reuse material, principally in the arches, the crown door, in certain vaults and on the wall surfaces. There are no support towers on the exterior facade of the building. This is a simple han with no decoration other than the profusion of Byzantine reuse stones (spolia) used in the construction of its walls. At the time of construction, these stones were reused for their building potential, and not to serve as decoration. But what a glorious display of antique stonework they offer us today! Walk around the han and enjoy the filmstrip setting of these stones. This spolia reuse material is used on every surface of the han in a mosaic fashion. Most of the spolia is seen on the northern facade. Some of the pieces are everyday common types of material, while others are sophisticated in their composition and craftsmanship. What is interesting to note is that the stones were inserted in the walls according to their size and not their decoration. As such, blocks with human figures have often been set sideways, disrespectful of their logical orientation, even on the facades. Two types of reuse material can be noted: Grave markers, inscription plaques and altar pieces belonging to the antique period, and ornate friezes, columns, half columns, templon architrave and ambo elements from the Byzantine period, many of the pieces in marble. Reuse elements from both periods were often placed systematically in the structure. For example, a templon architrave, brought from a nearby church, is placed at the top of the crown door in accordance with its original form. The most interesting piece shows two robed women standing next to a basket. 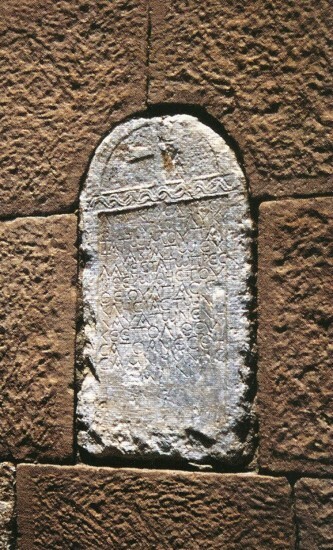 Many of the spolia stones bear antique Greek inscriptions, and appear to be funerary stones, whereas at the Obruk, Zazadin, Eli-Kesik and Kuruçeşme Hans, the spolia is of Byzantine Christian origin. As per Sarre, the stones used in the Kadin Han most probably came from the nearby city of Ladik. Ladik, formerly known as Laodikeia Katakekaumene, was a very important Greek city founded by Seleucus I Nicator around 300BC. This site is located a few kilometers away from the han. Numerous fragments of ancient architecture and sculpture have been found here, and visitors in the 19th century described seeing inscribed marble altars, columns, capitals, friezes, cornices dispersed throughout the streets and among the houses and burying grounds. The courtyard in the front part no longer exists. After the Seljuk era, the han continued to be used during the Karaman period until the late Ottoman era, after which it fell into disrepair. The han was restored in 1973 and has undergone an extensive restoration in recent years. The han has served several purposes over the years and is currently being used as a warehouse. Blessing, Patricia. “Women Patrons in Medieval Anatolia and a Discussion of Mahbari Khatun’s Mosque Complex in Kayseri.” Belleten 78 (282), August, 2014, pp. 475-520. Demir, Ataman. "Anadolu Selçuklu Hanları. Kadın Han", İlgi, 48 (1987), pp.14-17. Eravşar, O. 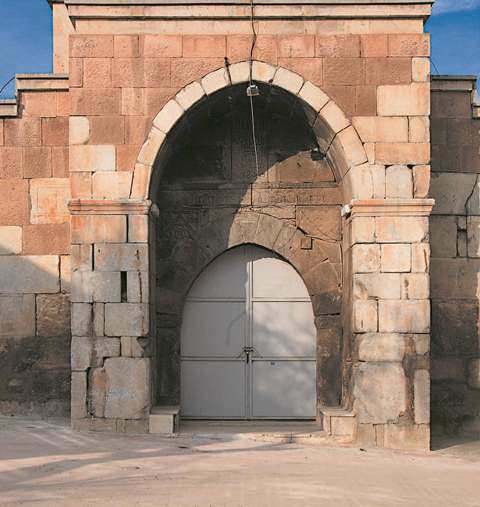 “Spolia in Seljuk Buildings.” in SOMA 2014: Proceedings of the 18th Symposium on Mediterranean Archaeology. Wroclaw, 2014, pp. 167-182. Eravşar, Osman. Yollarin Taniklari (Witnesses of the Way), 2017, pp. 200-204. Erdmann, Kurt. Das Anatolische Karavansaray des 13. Jahrhunderts, 1961, pp. 49-51, no. 10. Görür, Muhammet. “Anadolu Selçuklu Dönemi Kervansaraylari Kataloğu.” Acun, H. Anadolu Selçuklu Dönemi Kervansaraylari. Ankara: Kültür ve Turizm Bakanliği, 2007, p. 506. Hamilton, W. Researches in Asia Minor, 1842, p. 190-194. Huart, C. Konya, la ville des dervishes tourneurs: souvenirs d’un voyage en Asie Mineur, 1897. 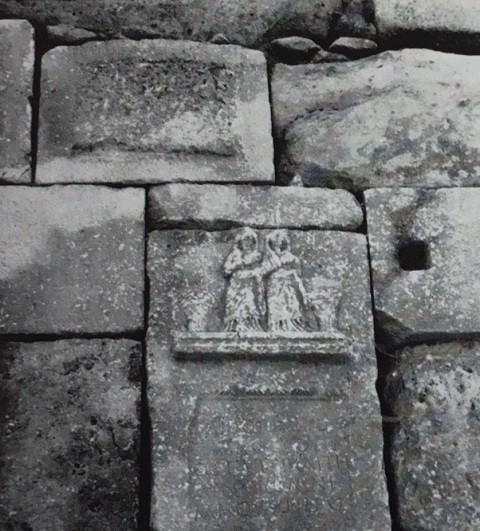 Karpuz, H. & Kuş, A. 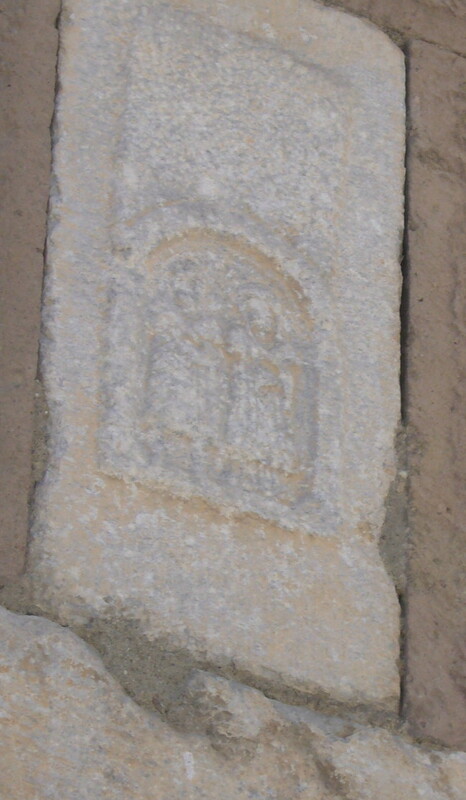 & Dıvarcı, I. & Şimşek, F. Anadolu Selçuklu Eserleri, vol. 2, 2008, p. 142. Kinneir, J.M. Journey through Asia Minor, 1818, p. 224. Konyalı İ. H. Abideler ve Kitabeleri ile Konya Tarihi, Istanbul, 1964, pp. 382-86. Kuş, A. & Dıvarcı, I. & and Feyzi Şimşek, F. Konya ve ilçelerindeki Selçuklu Eserleri, 2005, pp. 53-55. Olivier, G.A. Reise durch Persien und Kleinasien, 1808, II, 261. Özergin, M. Kemal. “Anadolu’da Selçuklu Kervansarayları”, Tarih Dergisi, XV/20, 1965, p. 154, no. 56. Tschihatscheff, P.A. Reisen in Kleinasien und Armenien, 1867, p. 52. Click on images below for additional views of the han.